Residential schools for Aboriginal people in Canada date back to the 1870s. 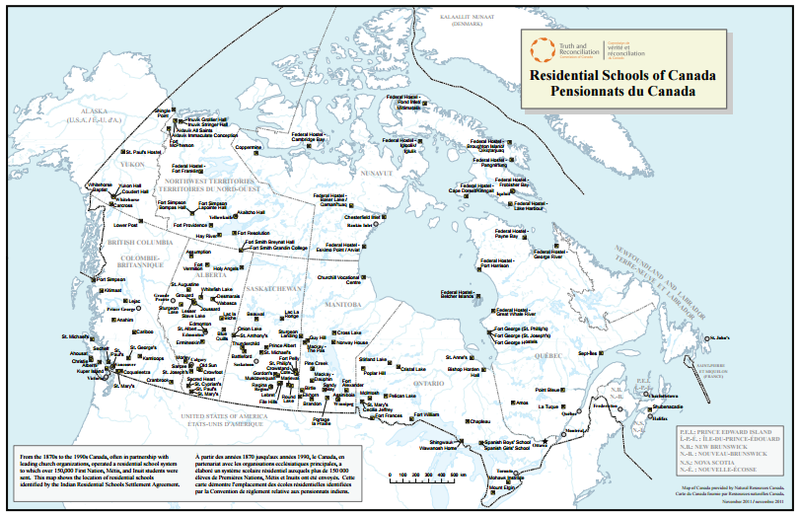 Over 130 residential schools were located across the country, and the last school closed in 1996. These government-funded, church-run schools were set up to eliminate parental involvement in the intellectual, cultural, and spiritual development of Aboriginal children. During this era, more than 150,000 First Nations, Métis, and Inuit children were placed in these schools often against their parents' wishes. Many were forbidden to speak their language and practice their own culture. While there is an estimated 80,000 former students living today, the ongoing impact of residential schools has been felt throughout generations and has contributed to social problems that continue to exist. On June 11, 2008, the Prime Minister, on behalf of the Government of Canada, delivered a formal apology in the House of Commons to former students, their families, and communities for Canada's role in the operation of the residential schools. 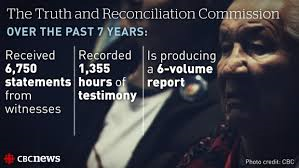 The Truth and Reconciliation Commission (TRC) is a component of the Indian Residential Schools Settlement Agreement whose mandate is to inform all Canadians about what happened in Indian Residential Schools (IRS). The Commission will document the truth of survivors, families, communities and anyone personally affected by the IRS experience. 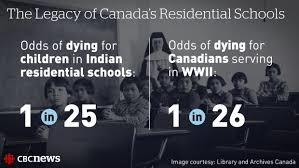 This includes First Nations, Inuit and Métis former Indian Residential School students, their families, communities, the Churches, former school employees, Government and other Canadians. 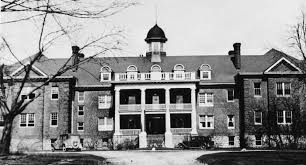 Brantford Institute Residential School - "The Mush Hole"
Where were they located in Canada? is it happening in small towns?